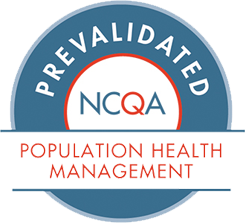 PLANO, Texas – January 18, 2017 – The National Committee for Quality Assurance (NCQA), a private, nonprofit organization dedicated to improving the quality of healthcare, has certified the Jiva™ population health management solution from ZeOmega® for five Healthcare Effectiveness Data and Information Set (HEDIS®) 2017 Measures. Health plans can now leverage Jiva’s reporting tools to monitor HEDIS data and address performance gaps across these HEDIS 2017 measures in real time. HEDIS reporting, required for NCQA Accreditation, enables employers, consultants, and consumers to evaluate and compare the performance of health plans in areas ranging from preventive care and consumer experience to heart disease and cancer. Since its introduction in 1993, the HEDIS has evolved to become the gold standard in managed care performance measurement. Users of the platform can now use Jiva tools to identify certain performance gaps related to HEDIS measures and address them prior to year-end evaluation. 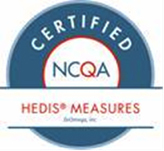 Conceived as a way to streamline measurement and promote accountability in managed care, HEDIS measures are now used by approximately 90 percent of all managed care organizations (MCOs). HEDIS Measure Certification is precise, automated testing that verifies compliance with HEDIS Specifications and satisfies the source code review portion of the HEDIS Compliance Audit™. ZeOmega intends to pursue additional HEDIS measure certifications for Jiva in 2017. The National Committee for Quality Assurance (NCQA) is an independent, not-for-profit organization dedicated to assessing and reporting on the quality of managed care plans, managed behavioral healthcare organizations, preferred provider organizations, new health plans, physician organizations, credentials verification organizations, disease management programs, and other health-related programs. It is governed by a board of directors that includes employers, consumer representatives, health plans, quality experts, policy-makers, and representatives from organized medicine.